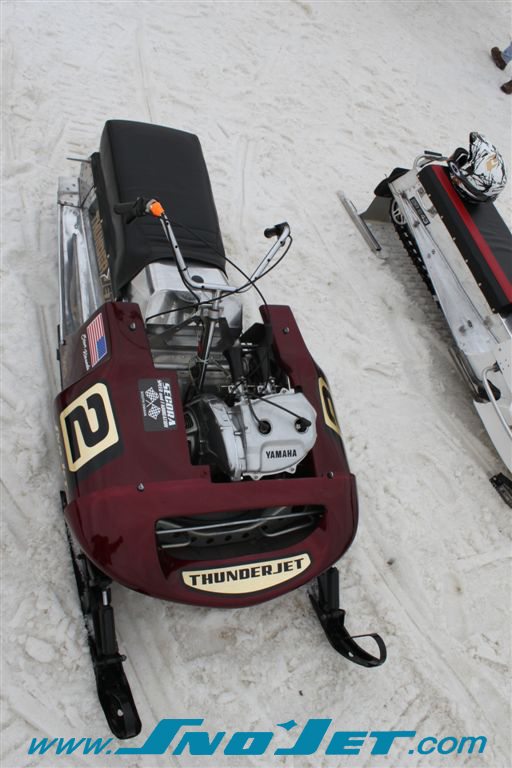 This is Tom's 1972 Thunder Jet 340, its pretty much original (other than the custom paint job), and as far as we can tell, this is one of the cleanest 72 340's still out there. 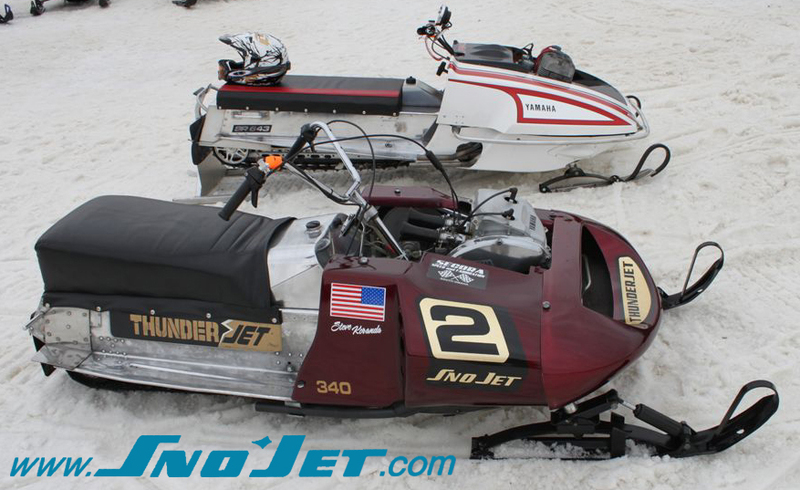 The 72 340 actually came with the F/C 340 Yamaha engine. 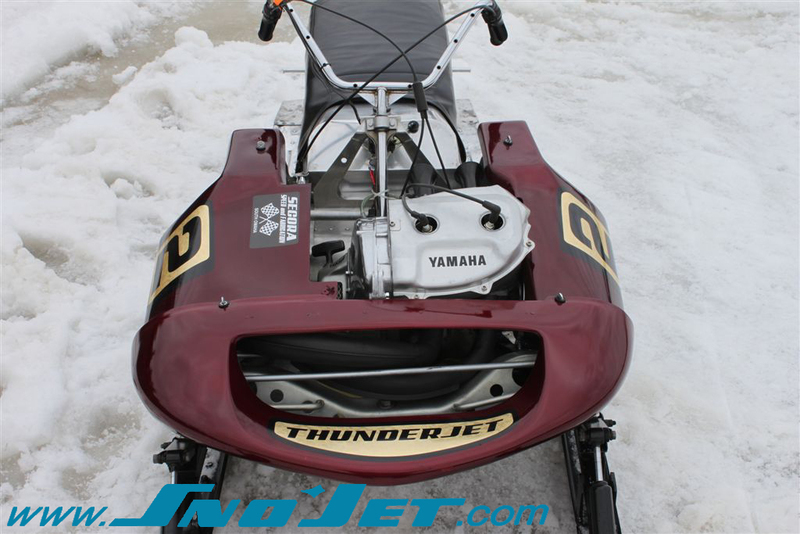 It was then converted to F/A with the GYT kit, so this could very well be a one of a kind sled! The original tank was in pretty rough shape, so a new tank was made to match the old one. 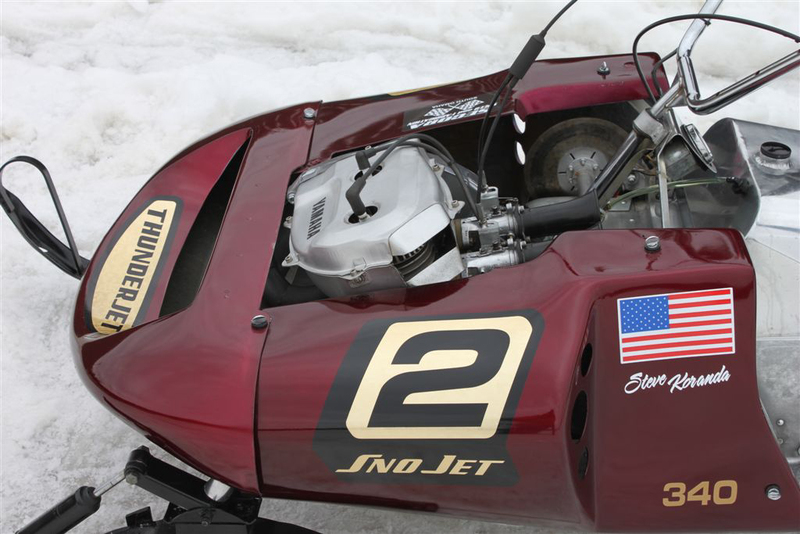 The name on the sled "Steve K." is the guy that Tom bought the sled from. 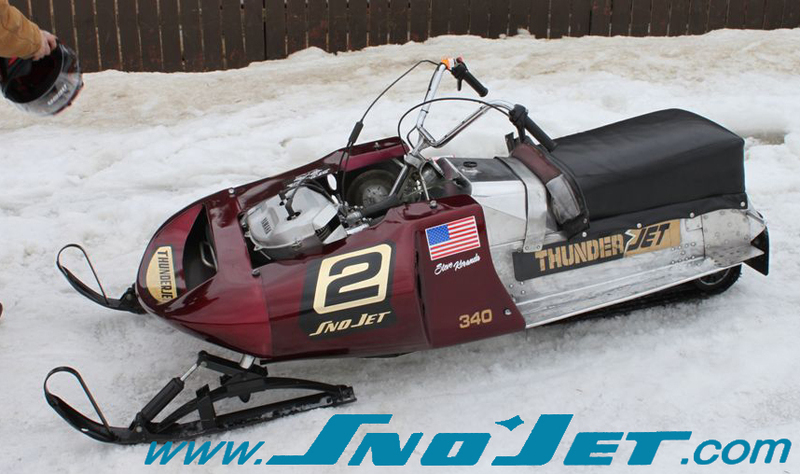 He used to race it from Wahoo to Sioux City IA. 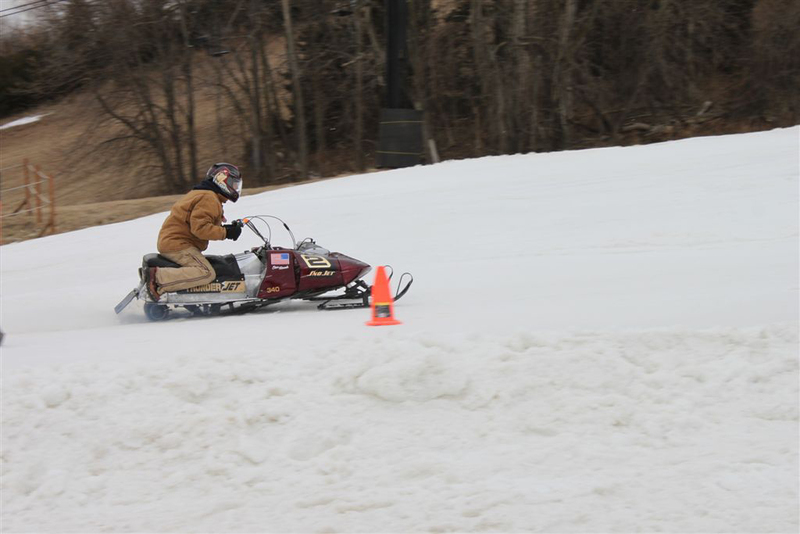 A little tribute to the man who raced with her back in the day. 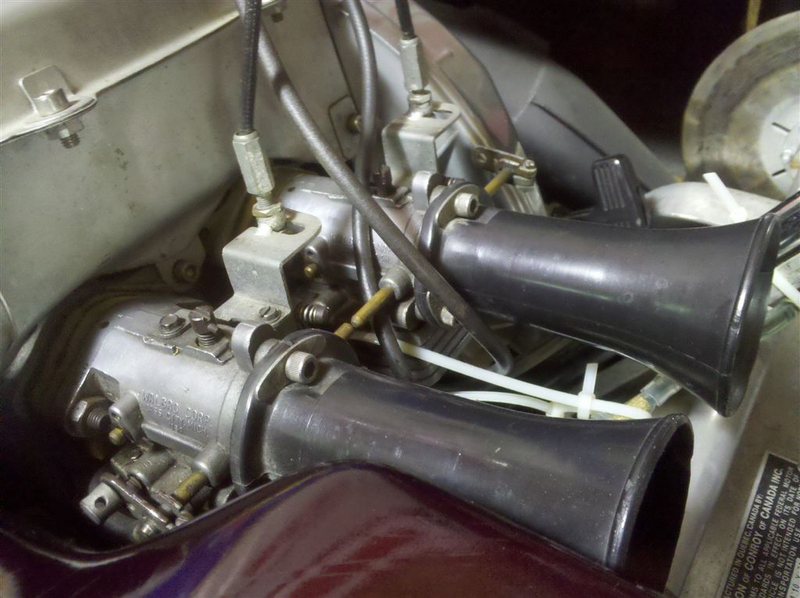 Take note of the dual Walboro carbs. 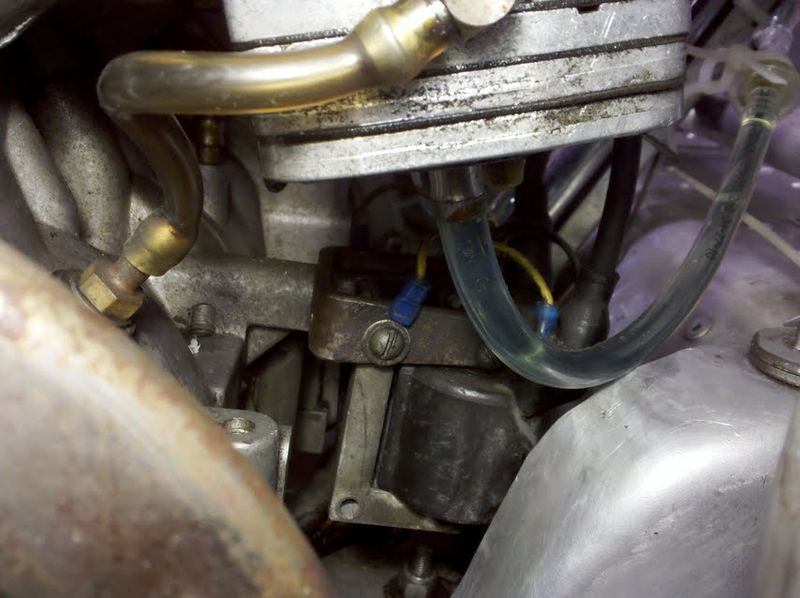 The coils are actually mounted underneat the carbs.